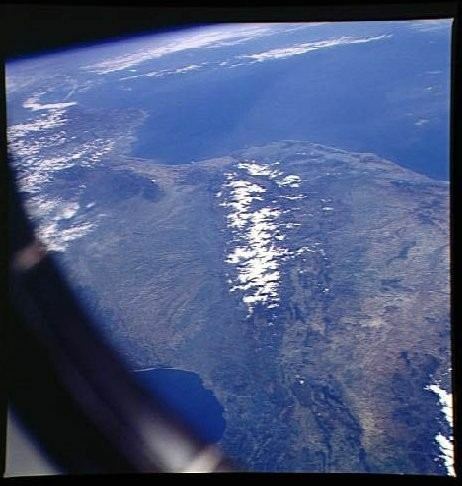 Space Shuttle image, looking east along the Pyrenees from the Bay of Biscay to the Mediterranean. Image courtesy of NASA. 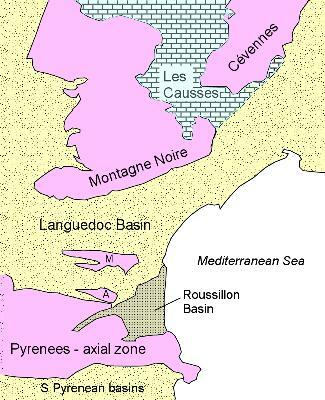 The Roquefort caves - geology and cheese!